The acquisition of HCR ManorCare by nonprofit health system ProMedica could be a sign of things to come for senior housing and care. Specifically, health systems and managed care organizations are increasingly seeing the value in owning senior living and skilled nursing providers, and they could become more active buyers in the future—particularly if this transaction lives up to its potential. In the deal announced late Wednesday, ProMedica is acquiring the operations of ManorCare for about $1.35 billion. At the same time, real estate investment trust (REIT) Welltower Inc. (NYSE: WELL) is spending nearly $2 billion to acquire all the outstanding shares of ManorCare’s landlord, Quality Care Properties (NYSE: QCP). Welltower and ProMedica will form a joint venture, which will place the ManorCare real estate in a master triple-net lease with the REIT as landlord and the health system as the operator. The transaction marks the first time that a health system has taken on the management of a senior living platform of this scale, but it is part of an ongoing trend of vertical integration within health care, Welltower CEO Tom DeRosa (pictured above) told Senior Housing News. “I look at this transaction in the same grouping of health care transactions that you’ve noticed in the last year, whether it be CVS and Aetna, or Humana, what they’ve done with Kindred,” DeRosa said. In the case of Humana (NYSE: HUM), the insurance giant and its private equity partners have been acquiring home health and hospice operators, including the behemoth Kindred at Home. The goal is to work with these providers to more efficiently manage costs and outcomes for Humana’s large Medicare Advantage population. To some extent, this parallels what ProMedica is hoping to accomplish by acquiring ManorCare. The Toledo, Ohio-based health system operates 13 acute care hospitals, six ambulatory surgery centers and more than 300 other facilities, as well as a home health and hospice division. ManorCare will add scale across the post-acute and senior care spectrum, including 58 assisted living/memory care facilities, 160 post-acute facilities, and the Heartland home health and hospice business. ProMedica is not only a health system but is also an insurance provider covering about 600,000 lives. So, like Humana, owning the whole continuum of care theoretically enables the company to better manage its population of beneficiaries. ProMedica will seek to do so in large part by “blurring the lines” between acute care and post-acute care, CEO Randy Oostra told SHN. At least on paper, this concept makes sense, according to Green Street analyst Michael Knott, who wrote that the deal appears to offer “several advantages.” Stifel analyst Chad Vanacore struck a similar note regarding possible upsides of this transaction. “I personally believe that the way the current U.S. health care system is set up is siloed and it’s difficult to break down those silos, but if you can, there can be significant efficiencies you can garner,” Vanacore told SHN. As for whether ProMedica and Welltower will be able to break down silos and accomplish their goals, there are several questions to be answered. ProMedica has a high concentration of hospitals and health care outposts in Midwestern states such as Ohio and Michigan, but the ManorCare portfolio spans 25 states. So, in ManorCare markets where it does not already own a full continuum of care providers or insure many people, ProMedica may seek to beef up its presence, whether through further acquisitions or partnerships with local health systems or managed care payors—all those options are on the table, Oostra told SHN. Welltower also has a national footprint and will play a role in this effort. And then there’s the question of ManorCare’s SNFs, which have been on financial life-support, in part due to massive headwinds hitting the sector in the form of reimbursement pressures, declining census, and regulatory burdens. Under the private equity ownership of Carlyle Group, the company has also been starved of needed capital to remain current and competitive, DeRosa said. The struggles reached a climax about two months ago, when QCP moved take over ManorCare through a bankruptcy process. The well-publicized struggles of ManorCare in particular and skilled nursing in general might explain investors’ tepid initial reaction to this deal even as analysts were more cautiously positive—Welltower shares were down 0.87% as of market close on Thursday. ProMedica has pledged to infuse up to $400 million into ManorCare over the next five years in an effort to revitalize the ailing provider. These capital expenditures will come in four areas, Oostra said. They will be: updates and improvements to the real estate; investment in technology; building out service capabilities; and capital to deploy on growth opportunities. But CapEx investments into the post-acute facilities will go well beyond a fresh coat of paint—this is an opportunity to change the whole skilled nursing paradigm, DeRosa and Oostra said. One possibility: The ManorCare SNFs could be upgraded so that more complex services and procedures could take place there, perhaps even certain surgeries. Reinventing the SNF in this way would be an effort to create a more successful business model for this difficult operating environment, while simultaneously solving some challenges facing the acute care sector. Hospital systems across the country have been contending with rising expenses and flat revenues, while seeing care increasingly migrate to outpatient facilities, giving rise to the notion that hospitals might eventually resemble standalone intensive care units, Oostra said. In response, hospital providers are adapting, in large part by building out more specialized care settings in the community. It makes sense that a hospital system would eye struggling SNFs as they make this effort to create community health care hubs, according to Daniel Bernstein, an analyst with Capital One. He compared it to independent living during the economic downturn, when occupancies dipped and operators converted vacant units to need-based assisted living and memory care. In this case, it would be a hospital operator acquiring a distressed SNF and converting unused space for other medical services. And this scenario does not only apply to SNFs but to senior housing more broadly, Bernstein suggested. A health system might want to put a clinic in an independent living building, for example. “There are so many options,” Bernstein said. 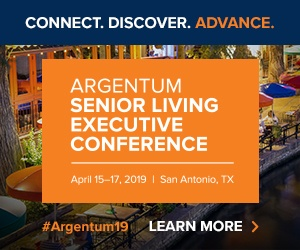 Hospitality-focused private-pay senior housing operators with strong occupancy might not find this an attractive prospect, but there will also inevitably be distressed operators with underutilized real estate, presenting attractive acquisition targets for health systems, he said. And even some high-end, financially robust senior living providers are already working closely with health systems and might be open to a closer integration, he noted. Considering that the ManorCare portfolio consists of both the distressed SNFs and profitable senior living communities, it could be a laboratory of sorts for a variety of innovations. Health systems might find even further motivation for senior living acquisitions, depending on the outcome of these experiments. For instance, a recent Medicare Advantage rule change will allow these insurers to offer a benefit for non-skilled in-home services, raising the possibility of MA becoming a more prominent payor for assisted living. Considering that ProMedica is an insurer, it’s plausible to think that the ManorCare AL communities might pilot this benefit, Welltower’s DeRosa told SHN. While emphasizing that the ink is barely dry on the deal, Oostra said that ProMedica is open to exploring all possibilities related to this platform, including Medicare Advantage opportunities. Although it remains to be seen what ProMedica and Welltower will accomplish, one thing seems certain: If their efforts bear fruit, more deals like this one will occur.